To tell my story I have to start at the beginning. So here goes… Adelaide was a very wanted baby girl. We experienced such joy with her beloved older brother Jackson, and were looking forward to welcoming a new little baby girl to the family. For anyone that knows me you know I’m a shopper, and won’t be surprised that I was already dreaming about all the adorable little girl clothes, shoes, and toys I could buy for her. I was in heaven! Adelaide had problems shortly after birth and with each passing month, when there was very little developmental progress, my concerns grew from hopeful optimism to fear and trepidation. As time went on and the hospitalizations, invasive procedures, scary test results and debilitating symptoms piled up I knew we were in this battle for the long haul. That’s when the realization kicked in that our sweet little ladybug would be severely disabled and was never going to be the little girl that I had hoped for. Today, I no longer wonder whether Adelaide will walk or talk or go to school. I wonder if she will live, and if so what quality of life will she have? The grief & loss of what will never be is overwhelming and all consuming. As a grandmother I couldn’t help but think of the milestones in life that Adelaide would never experience and I would never see. There would never be that first dance recital (we still dress Miss A in tutus though and she rocks pink), Girl Scouts, playing a musical instrument, performing in a school play, going to Prom, graduating from high school & college, dating, getting married, success in her chosen career or having a baby. As sad as this loss is for me can you even imagine what this is doing to Adelaide’s mother? I have a bright, beautiful, healthy daughter, but she does not and this just breaks my heart more than I can put into words. I love my sweet little Adelaide with all my being, but the truth is my priority in this devastating situation is my daughter, my beautiful Kelly. I would do anything to take away Kelly’s pain. If it was in my power I would give my life in exchange for Adelaide’s health. But alas, it is not in my power. 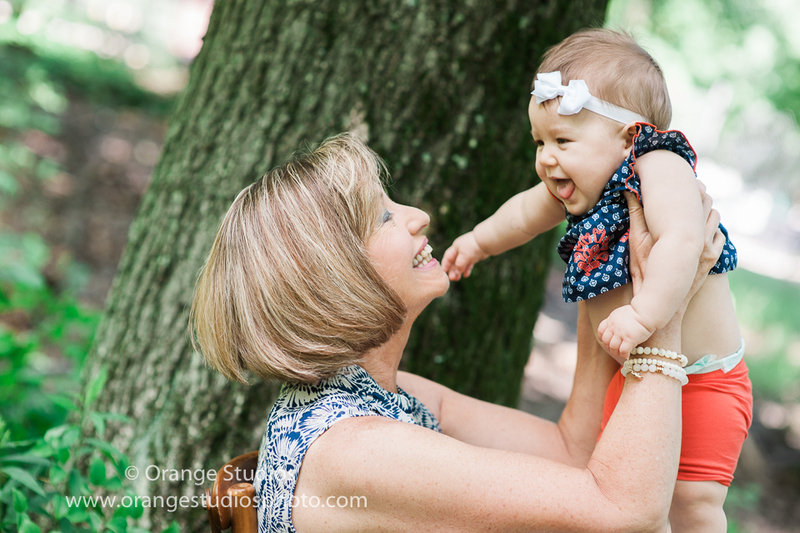 As a matter of fact, Grandparents have very little power when it comes to grandchildren and even less when the child has an undiagnosed chronic illness. So, I do what I can to be as strong and supportive as I am able for my child and in that way I am also helping Adelaide. Do I worry about Adelaide? Of course I do, but I don’t worry about the quality of care she is receiving at home or the medical decisions being made on her behalf. Adelaide is the most loved and best cared for little girl that I know. The person I most worry about is my daughter. Kelly has always been an emotional person (have you ever met an actor, even former, that isn’t?) and let’s face it, maybe a “little” overindulged. I worried that I hadn’t prepared her well enough to handle such a devastating situation, but how do you prepare anyone for this? Kelly never had interest in anything medical, so she has surprised and surpassed any expectations I might have had in her ability to deal with a medically complicated child. Kelly can rattle off all of Adelaide’s numerous medications, tests & procedures, and explain to me in detail diagnoses that I had to look up, and I’m the nurse! Now that I think about it I don’t know why I am so surprised. As a child, if someone told Kelly (not me) that she couldn’t do something she found a way to prove to them that she could. Believe it or not, I also don’t worry about Kelly & Miguel’s marriage. You would think the stressful home life that comes with caring for a special-needs child would wrack havoc on their relationship. But never before have I seen two people work so well together to bring some kind of normalcy to an otherwise crazy household filled with nurses, medical equipment, and two children with very different, but busy, schedules. I do grieve for Jackson that he doesn’t have a healthy sibling to play with, but Mr. Popularity seems to have no end of playmates biding for his attention. And I must add that Jackson is the most empathic person (not just child) that I have had the pleasure to know, and that says a lot coming from a counselor! What I do worry about is that Kelly will not take time for herself or do what is necessary to maintain a healthy mind, body & soul. And we all know that if a mother doesn’t put herself first she will not be able to care for her children. The Cervantes family spent this last Christmas with us in North Carolina. Adelaide was not doing well at the time and it was touch and go whether they would be able to make the trip. During their stay Adelaide stopped breathing 3 times for 6 minutes each episode. As I watched Kelly resuscitate Adelaide, all while telling her that she could not die in NC, I was convinced that my granddaughter didn’t have long to live. Then I began to think about what it would be like for the family after Adelaide passed. Of course it would be horribly sad and excruciating painful, but what would happen next? Would Kelly, Miguel and Jackson eventually recover in spite of their lives being forever changed? Would Kelly be able to claim her life as her own again? Would they consider the possibility of another child? Would Adelaide be remembered for her sweet spirit, strength and brave battle? Would her undiagnosed genetic disorder someday be discovered and would there eventually be a cure? And what kind of grandma does it make me that I am even thinking this, wondering if Kelly, Miguel & Jackson will be better off after she is gone? Don’t judge. I invite you to ponder what you would be thinking and feeling if you were in my shoes.